Black Desert Online is a large scale sandbox-oriented MMORPG that provides a variety of unique experiences with spectacular action and battle. Expect strategy-based castle sieges and sophisticated simulation content such as trade, NPC-hiring and real estate management. Black Desert Online boasts the deepest character customization system of any MMORPG on the market today. Experience fast-paced, action-packed combat, hunt monsters and huge bosses, fight with friends in a guild to siege nodes and region castles, train your life skills such as fishing, trading, crafting, cooking, and much more. All expansions and class additions have been free of charge as of July 20, 2016, with no plans of charging for additional future content stated. At the Taipei Games Show on January 20, 2017, Pearl Abyss stated a Xbox One and PlayStation 4 version of the game is in development. This was confirmed by Pearl Abyss in March. The Dark Knight class was published in Europe and North America in April 2017. The Striker class was released in Europe and North America in May 2017. At E3 2017, Microsoft announced that Black Desert will launch on Xbox One as a Console Launch Exclusive in early 2018. On August 15, 2017 Pearl Abyss has released an official teaser for Black Desert Mobile. On April 5, 2018, Pearl Abyss announced that it would be changing service providers on North American servers to improve stability. 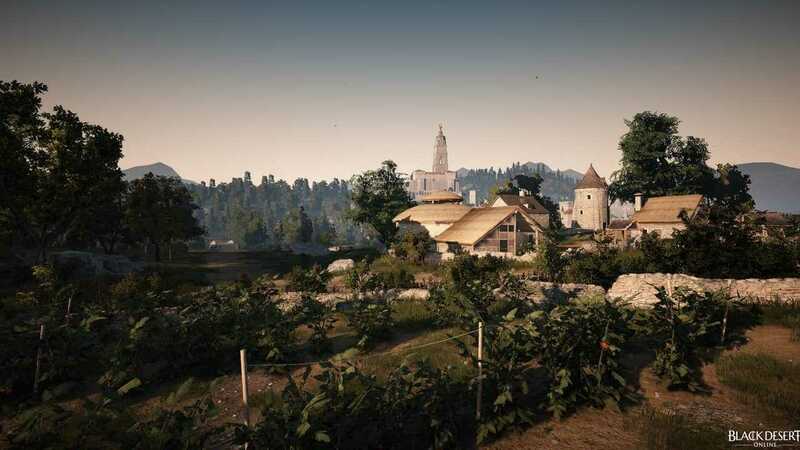 Black Desert Online has received generally favorable reviews from critics, currently holding a score of 73/100 on Metacritic] and 8.6/10 on MMORPG.com. 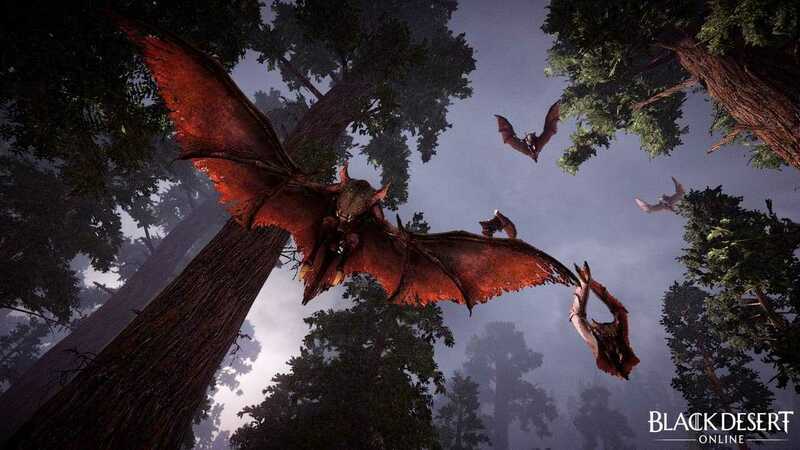 In April 2016, Kakao announced that the game had achieved sales of 400,000 copies in its first month on the European and North American markets, and was showing an average of 100,000 concurrent users. As of March 2017, Black Desert Online has reportedly 3.4 million registered players in North America, and Europe combined. Long before Black Desert Online starts, the four main areas, Calpheon, Serendia, Balenos, and Mediah, are at peace. 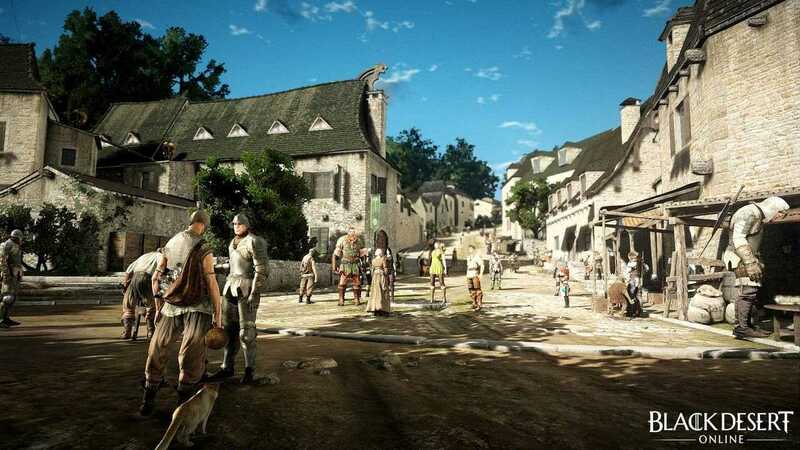 This all changes when merchants from Valencia, an area in Mediah that controls trade, starts to spread the Black Plague. Many people from around the world die due to this sickness. If people don't die they sometimes get expelled due to paranoia. Eventually, the three main areas realize the enemy, Valencia. The three regions make an alliance and start a war. The war lasts 30 years and Mediah profits the most. This is because Mediah, during the war, harvests black stones and trades with everyone. After the war, the alliance slowly starts to trade with Valencia again. Tensions rise again when the others discover the importance of black stones. Desperate to gain wealth, the others start to search for black stones. Calpheon has no area that harbors the precious black stones and because of this they start to steal from others. This raises conflicts with Valencia due to Valencia's vast Black Desert that holds the black stones. The Black Spirit is your guide. Your destinies are entwined on your search for answers concerning the source of power: Black Stones. The Black Stones are said to have corrupted the minds of the ancients, and through their Alchemy causing the fall of their civilisation. They are commonly found in the desert between the capitalist Republic of Calpheon, and Valencia Kingdom, the land of absolute monarchy. Calpheonians call this area the Black Desert and have declared a war to claim the resources there. Valencians call it the Red Desert due to all of the blood spilled there. You will uncover the hidden secrets of the ancient civilization through the histories of Calpheon and Valencia. Lost memories and the secret of the Black Spirit will be unveiled. A journey to seek the true face of the ancient civilization around the Black Desert awaits you. Game Analysis BDO is a great looking mass online RPG that will need an Nvidia GTX 650 or HD 7770, with 1GBVRAM to reach recommended graphics requirements.To reach reliable Black Desert frame rates a Core i5 650 processor or Phenom II x3 740 CPU would need to accompany that fairly low end GPU. The download file size for BDO is around 40GB and you will want to have 6GB system memory to avoid stuttering at 1080p resolution. A beautiful Korean MMORPG, with a new combat system. 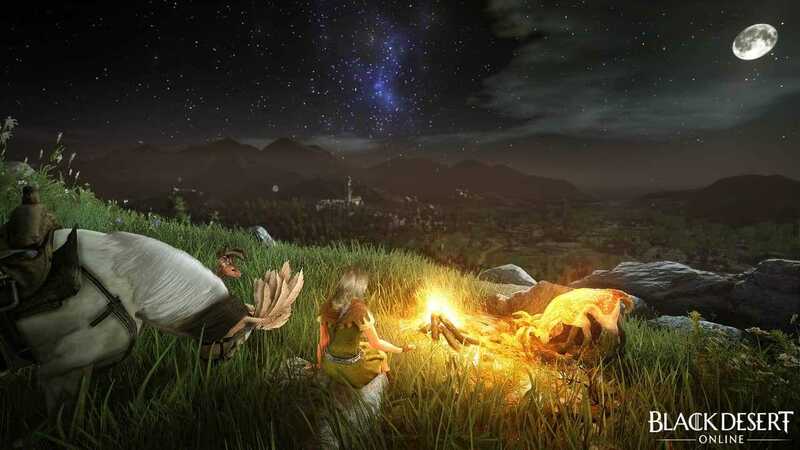 BDO attempts to deliver a new spark to the mass online roleplaying space, with an interesting combat system and the usual in depth character builder. GameOn,Kakao Games,Kakao Games Europe B.V. Copyright © 2014 - 2019 SocksCap64, All Rights Reserved. Logos, Trademarks, Pictures Belongs To Their Respected Owners. Powered By WordPress. 109 Queries in 0.625 seconds.